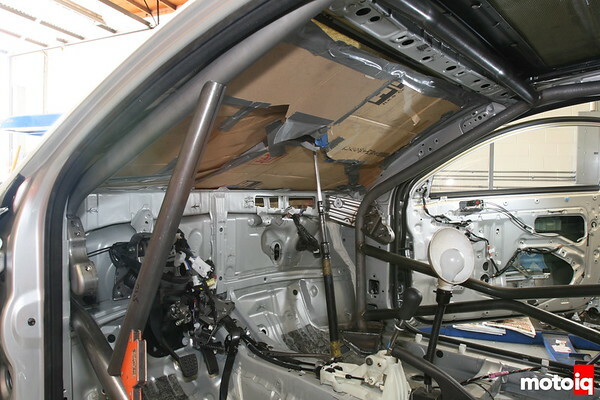 In our last segment of Project Scion TC Racer we had brought our car to Technosquare in Torrance California for the construction of a custom roll cage leaving the car in the capable hands of master fabricator Richie Watanabe. It’s no secret that many of MotoIQ’s project cars and staffers personal cars end up spending a stint at Technosquare sooner or later. Richie has many years of experience constructing Pro Rally and race cars, and is quietly proud of the fact that every racer that has ever crashed while driving a car equipped with one of his cages has walked away unharmed. The last Technosquare cage to be tested in such a spectacular manor is Taka Ono’s AE86 who flipped at a Formula D event at Irwindale raceway last year. 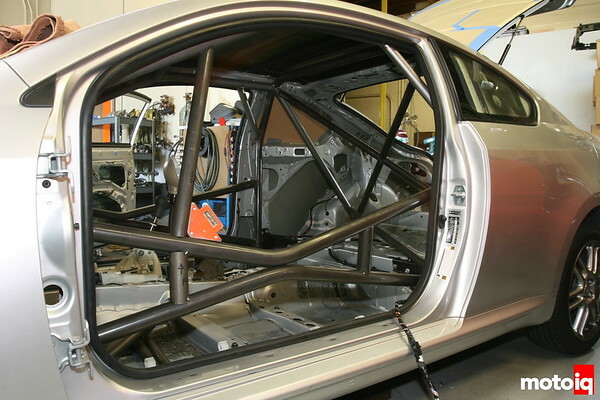 A roll cage in a road race car takes on two main tasks. 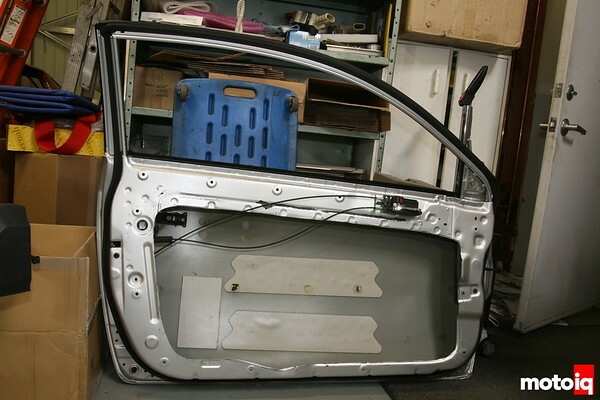 Besides its most important role of protecting the driver in an accident, a properly designed cage is also a major part of the cars body structure, working in the same way as your skeleton does, keeping your body from collapsing into a pile of mush. 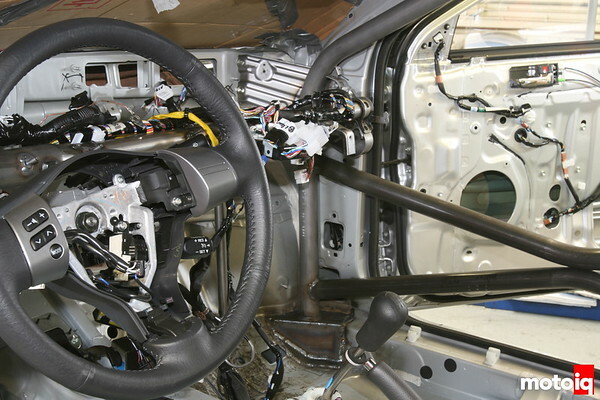 A well engineered cage not only protects the cars occupants from direct trauma, it also gives gradually, absorbing and dissipating crash energy throughout the cars structure, reducing the peak G forces the occupants bodies must endure. This is the opposite of a super strong and unyielding cage that could transfer a lethal level of forces to the occupants by not giving at all in a crash. 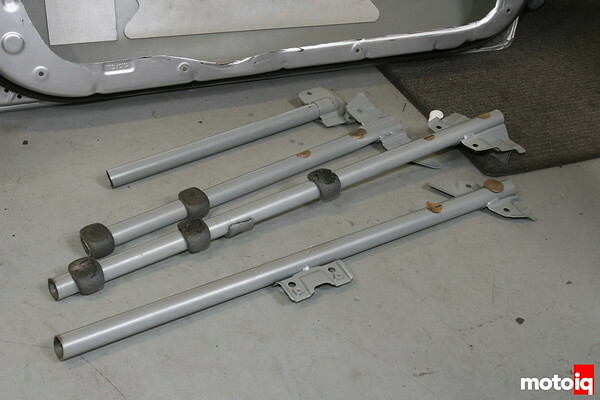 A cage must make the chassis stiff in both torsion and bending for good handling. Since suspension tuning involves manipulating weight transfer around the chassis, the stiffer the chassis, the better the car will respond to changes in the suspension setup. This makes it easier to adjust the car to the driver and the track conditions. A flexible chassis acts like a huge undamped spring which can impart uncontrolled rebound forces that can upset the car making it harder to control. A stiff chassis forces road shocks and bumps to be absorbed by the cars springs and dampers instead of making the car hop and bound. The ride, the grip and the overall handling benefit. In addition to being protective, energy absorbing and stiff, the cage also has to be light. With these seemingly oxymoronic requirements, it’s easy to see that a good cage requires a combination of good fabrication techniques, engineering and common sense. A bad cage can make a good car harder, to set up well. 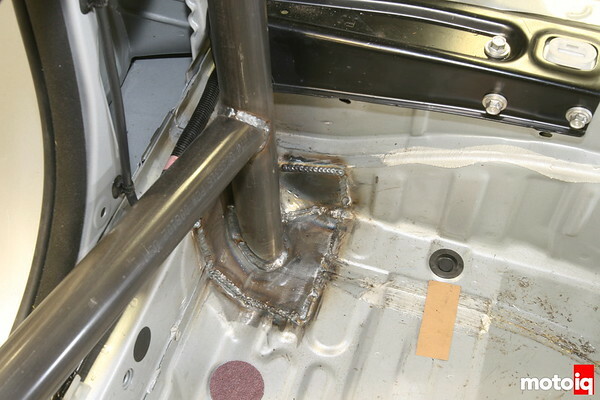 Like all race car projects before you weld or cut anything you must first check the rules. We perused the NASA CCR rulebook to make sure that we built something that exceeded the safety requirements. We decided on 1020 DOM mild steel tubing for our cage. 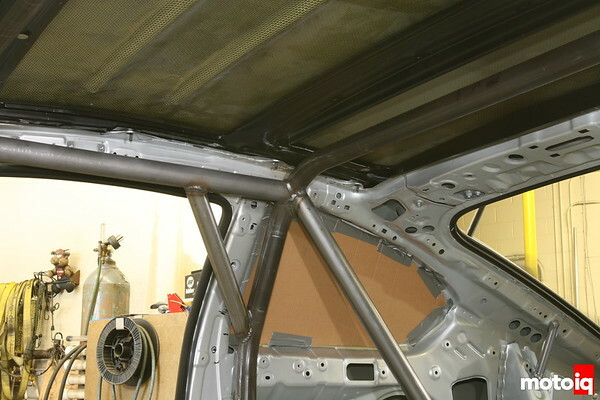 We chose mild steel over the higher strength chrome moly because it has several advantages when used in a roll cage. Chrome moly is steel with a high percentage of chromium and molybdenum alloying elements which give it a 40% higher tensile strength than mild steel. Unfortunately chrome moly is weakened by the heat of welding and should ideally be heat treated to return strength to the welded areas. The metal tends to be more brittle in the zones around the weld. 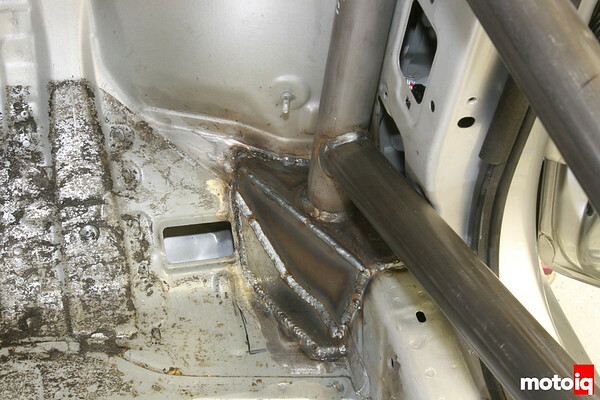 Chrome moly is also less ductile and tends to crack when stressed to the limit. Mild steel however is less affected by the heat of welding and is more malleable, bending instead of cracking apart under hard impacts. The cage is tacked together as the tubing is fitted and it starts to look like a cage!